I don’t know who you are or what you do or how old you may be. I just know that you exist somewhere in our future as surely as does tomorrow or next year. You may be young and computer-savvy or a career federal employee well along in years. You might be someone who entered government service filled with idealism or who signed on to “the bureaucracy” just to make a living. You may be a libertarian, a closet left-winger, or as mainstream and down-the-center as it’s possible to be. I don’t know much, but I know one thing that you may not yet know yourself. I know that you’re there. I know that, just as Edward Snowden and Bradley (now Chelsea) Manning did, you will, for reasons of your own, feel compelled to take radical action, to put yourself in danger. When the time comes, you will know that this is what you must do, that this is why you find yourself where you are, and then you’re going to tell us plenty that has been kept from us about how our government really operates. You are going to shock us to the core. And how exactly do I know this? Because despite our striking inability to predict the future, it’s a no-brainer that the national security state is already building you into its labyrinthine systems. 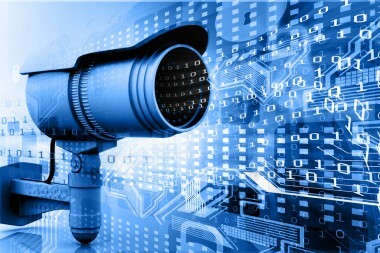 In the urge of its officials to control all of us and every situation, in their mania for all-encompassing secrecy, in their classification not just of the millions of documents they generate, but essentially all their operations as “secret” or “top secret,” in their all-encompassing urge to shut off the most essential workings of the government from the eyes of its citizenry, in their escalating urge to punish anyone who would bring their secret activities to light, in their urge to see or read or listen in on or peer into the lives of you (every “you” on the planet), in their urge to build a global surveillance state and a military that will dominate everything in or out of its path, in their urge to drop bombs on Pakistan and fire missiles at Syria, in their urge to be able to assassinate just about anyone just about anywhere robotically, they are birthing you. In every action, a reaction. So they say, no? Give our national security managers credit, though: they may prove to be the master builders of the early twenty-first century. Their ambitions have been breathtaking and their ability to commandeer staggering amounts of our taxpayer dollars to pay for those projects hardly less so. Their monuments to themselves, their version of pyramids and ziggurats — like the vast data storage center the National Security Agency is building for almost $2 billion in Bluffdale, Utah, to keep a yottabyte of private information about all of us, or the new post-9/11 headquarters the National Geospatial-Intelligence Agency built, again for almost $2 billion, so that its 16,000 employees could monitor our system of satellites monitoring every square inch of the planet — are in their own way unique. In their urge to control everything, to see everything from your Facebook chatter to the emails of the Brazilian president, they are creating a system built to blowback, and not just from the outside or distant lands. 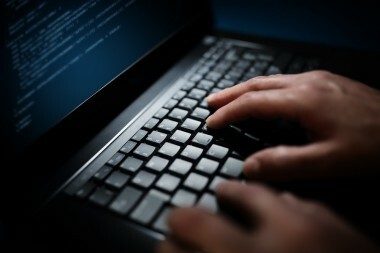 Chalmers Johnson, who took “blowback,” an obscure term of CIA tradecraft, and embedded it in our everyday language, would have instantly recognized what they’re doing: creating a blowback machine whose “unintended consequences” (another term of his) are guaranteed, like the effects of the Snowden revelations, to stun us all in a myriad of ways. They have built their system so elaborately, so expansively, and their ambitions have been so grandiose that they have had no choice but to embed you in their developing global security state, deep in the entrails of their secret world — tens of thousands of possible you’s, in fact. You’s galore, all of whom see some part, some corner, of the world that is curtained off from the rest of us. And because they have built using the power of tomorrow, they have created a situation in which the prospective whistleblower, the leaker of tomorrow, has access not just to a few pieces of paper but to files beyond imagination. They, not you, have prepared the way for future mass document dumps, for staggering releases, of a sort that once upon time in a far more modest system based largely on paper would have been inconceivable. They have, that is, paved the way for everything that you are one day guaranteed to do. They have created the means by which their mania for secrecy will repeatedly come a cropper. They have created you. Worse yet (for them), they have created a world populated with tens of thousands of people, often young, often nomadic in job terms, and often with remarkable computer skills who have access to parts of their vast system, to unknown numbers of secret programs and documents, and the many things from phone calls to emails to credit card transactions to social media interactions to biometric data that they so helpfully store away. And it doesn’t matter what they, in their post-Snowden panic, may do to try to prevent you from accessing their system. None of the new rules and programs they are installing to prevent the next Edward Snowden or Bradley Manning from collecting anything right down to the national security equivalent of the kitchen sink will stop you. After all, you may even be one of the ones they have chosen to install those safeguards, to put those measures in place. You may be one of the ones they have specially trained in the intricacies and failsafe mechanisms of their system. And here’s the uncanny thing about you: just doing what comes naturally, you will overcome any measures they try to install and make a mockery of any measures or training programs they put in place to help your co-workers spot you. Almost by definition, they won’t be able to find you until it’s too late. You’ll dispay none of the traits that someone about to betray their world should exhibit. And no wonder, since you’ll be one of the many recognizable cogs in their machinery until almost the moment — already too late in the game for them — when you aren’t. You are, in that sense, the perfect double agent. Until you, in essence, become a spy for the American people, for the old democratic system in which government was the people’s property and those we elect were supposed to let us know what they were doing in our name, you aren’t just masquerading as one of them, you are. I have no way of knowing what will first strike you as wrong. I just know that something will. It might be very specific and close at hand — something amiss you see in the program you’re working on, some outrageous expenditure of money or set of lies about what an agency or outfit is doing, or some act or set of acts that you, in growing up, had been taught were un-American. The possibilities are legion. After all, the national security system that they’ve built and engorged with taxpayer dollars, using fear and the excuse of American “safety,” has dispatched armies, and special ops outfits, and drones all over the world to commit mayhem and increase global instability, to kill civilians, wipe out wedding parties, kidnap and torture the innocent, assassinate by robot, and so on. Or maybe it all just sneaks up on you, the wrongness of it. Maybe, even if you’re too young to remember the totalitarian states of the previous century, something about the urge of our national security managers to create total systems of control, trump the law, and do as they please in the name of their need for knowledge will simply get under your skin. You’ll know that this isn’t the way it was supposed to be. At some point, it will just creep you out, and even though until that moment you didn’t know it, you’ll be ready. They won’t be able to avoid you. They won’t be able to eliminate you. They won’t even be able to find you. You are, after all, part of their landscape, like the grass on the hillside or the steps to a house. Even now, they are undoubtedly giving you tips on how to blowback on them. 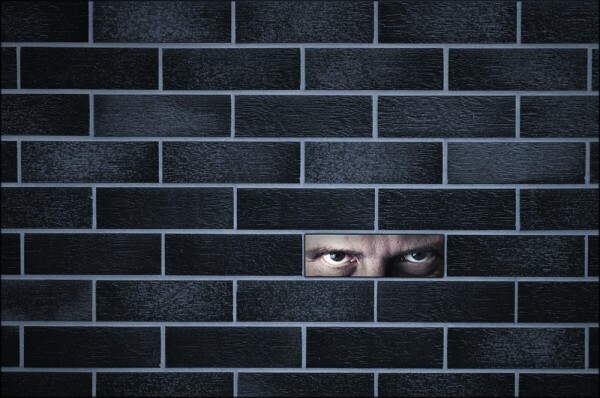 As the latest articles about the National Security Agency tell us, they have begun excusing their sins by claiming that the system they have created is now beyond even their understanding or control, so what hope do they have of understanding or controlling you? They have out-built even themselves. Manning and Snowden were the first harbingers of the new world of whistleblowing. Snowden learned from Manning and other whistleblowers who preceded him and were persecuted by the state. You will learn from all of them. Each of them was a small tornado-like version of the blowback machine they are still in the process of creating. Each changed how the world looks America and how many of us look at ourselves. Each put in place some small part of the foundation for a world in which such a blowback machine would not be the creation of choice for those with the money and power to build monuments to themselves. Each was a raging embarrassment, a dent in the amour-propre of the national security state. Each was an insult to its ability to control much of anything, including itself. Those running the government and many of those who write about you in the mainstream will revile you. You will be denounced as a traitor, a defector, a criminal, and your acts called treasonous, even if you’re one of the last hopes of the American republic. Right now, those like you are sure to be prosecuted, jailed, or chased implacably across the planet. But this won’t last forever. Someday, your country will recognize what you did — first of all for yourself, for your own sense of what’s decent and right in this world, and then for us — as the acts of an upright and even heroic American. In the meantime, just remember: the national security state is a giant blowback machine and you, whoever you are, will be part of the answer, the remedy, to it. 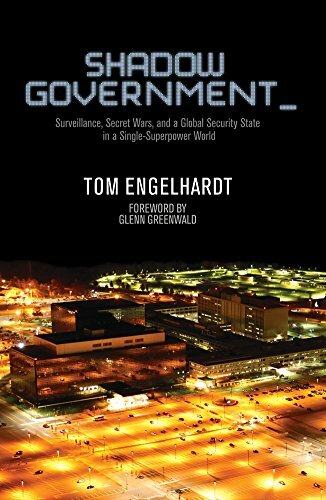 Tom Engelhardt, co-founder of the American Empire Project and author of The United States of Fear as well as a history of the Cold War, The End of Victory Culture (recently published in a Kindle edition), runs the Nation Institute’s TomDispatch.com. His latest book, co-authored with Nick Turse, is Terminator Planet: The First History of Drone Warfare, 2001-2050. Judith Coburn: Can We be Forgotten Anymore?